That I Am Number Four has little coherence in its logic or the physics of its action is not its greatest crime. After all, the film is a sci-fi blockbuster aimed at undiscerning teens, for whom such things aren't so important, and as it has been directed by DJ Caruso and produced by Michael Bay, we should anticipate empty flashiness (and slow-walking away from exploding fireballs) as standard. What's more frustrating and disappointing is the film's total lack of regard for the basics of story and character. The plot has something to do with an alien race from the planet Lorien. They are identified by numbers rather than names (Alex Pettyfer being the eponymous Number 4) and nine of them fled their doomed planet when an alien race called the Mogadorians came to destroy it. Now, the alien teenagers are hiding out on earth, but the pesky Mogadorians are still hunting them down and at the start of the picture, Numbers 1, 2 and 3 have already met their end. All of this is explained in a laborious fashion at various points in the film, and yet it's both difficult to follow and impossible to care about the rather nonsensical plot. The characters are so poorly drawn they barely exist, and the young actors playing them bring little substance to their performances. 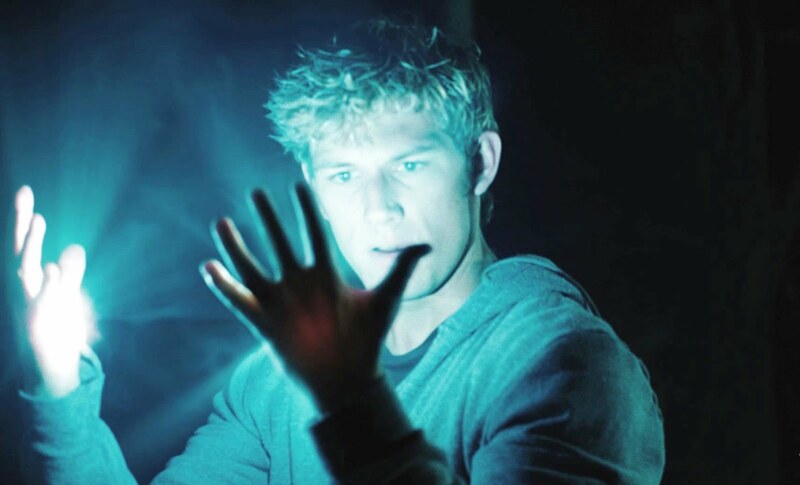 Pettyfer plays a young man coming to terms with extraordinary abilities (shooting lights out of the palms of his hand, etc. ), but the actor's abilities don't extend to expressing more than a single emotion. Number 4 is frequently told, "You don't know what you're capable of" by his mentor/protector (Timothy Olyphant), but we never get a sense of his exhilaration or anxiety as he discovers his powerful new gifts. Much of I Am Number Four's opening hour is focused on the lead character's experiences at Cliché High School, which he attends as 'John Smith' and where he falls in love with a free-spirited beauty (Dianna Agron), incurs the wrath of the school bully (Jake Abel) and bonds with an insecure UFO nerd (Callan McAuliffe). There isn't a single character in this film who doesn't feel like they have been built from a predesigned teen movie template. For the most part, I Am Number Four is witless and boring, and it steals so many ideas from other sci-fi/action/teen/romance movies, it never develops a consistent or distinctive identity of its own. It feels cynical and soulless in its attempt to kick-start a franchise without giving us a single reason to want to follow these characters or this adventure in subsequent instalments. I spent much of I Am Number Four slumped in my seat, waiting for it to end, but I must admit the climactic battle between the heroes and their Mogadorian foe did enough to get my attention. It's loud, stupid and overwhelmed by CGI, but I think I was just glad that something was finally happening, and the presence of Teresa Palmer was a welcome bonus too. She plays Number 6 and she brings an attitude to her brief appearance that the rest of the movie conspicuously lacks, making me wish that I'd spent the past 90 minutes watching I Am Number Six instead. Number 6 is also given the film's most telling line of dialogue – "Hit me" she tells Number 4, "I need to power up," and it's true, these characters and this movie possess all the depth and weight of a video game.